“Sounds good” I’d said when the idea of camping had come up over after a couple of glasses of Pastis. The alcohol nicely fuzzing memories of school-enforced camping trips. It was only now, entombed in my sleeping bag like an Egyptian mummy, that the memories of a night spent gripping canvas before gale force winds finally blew the tent away to oblivion, surfaced with horrible clarity. On that occasion, water had been rocket-propelled from the sky. At least one thing had improved since my last camping trip. It hadn’t rained as yet. Laying in the pre-dawn light, I reflected on the fact that the blow-up mattress hadn’t made the same technological leap as our new 2 second tent. The built-in pillow must have been a foot high, adding to our altitude and the air-bed itself was not flat, but had as many valleys and ridges on it as the mountains we’d just crossed. Maybe the French don’t mind sleeping on rows of inflatable brise blocks I thought. I felt claustrophobic and struggled out of the tent, but stepping out from the pine trees, the view caught me unaware and I suddenly revised my opinion of camping. 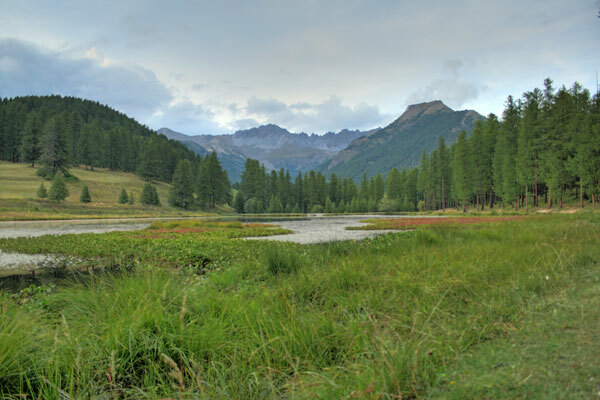 This entry was posted in Family Stuff, the Alps and tagged Alps, Camping, France, Hautes-Alpes, lake, Queyras. Bookmark the permalink. What a view! You’ll have to give some camping cooking tips, too. 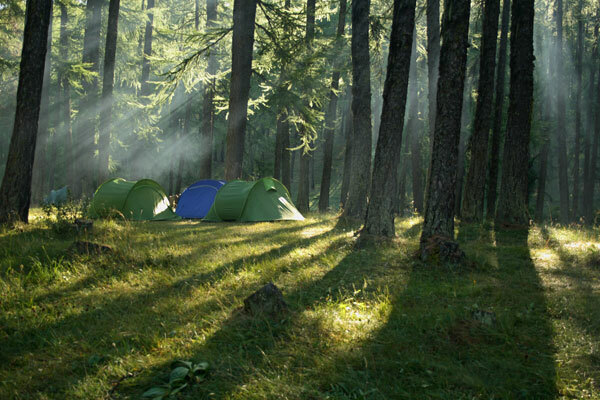 Mmm, remember it well – as you say it’s not just the tent but the dreaded airbed. I am somewhat of a princess & the pea type when it comes to bed comfort. Lovely photo’s, that second one could be Montana if you didn’t know. I just found your blog today. My what a life you have had. The view is like awesome. I saw you had ice on the blooms. But do you have snow? I am in Mo. I saw you were in ILL before. For me you have a dream life. Okay, I’m ready to move… What extraordinary beauty. They say that youth is wasted on the young. So is just about everything else. I was born in Europe and lived there until my early teens. A product of American breeding in a European environment, I struggled with the challenge of absorbing the slower-paced world in which I was a guest. Trips to the Alps (in every nation they anchor to the Earth) were abbreviated stints in the form of Saturday Volksmarches or weekend ski trips (with a focus on the next run rather than the view around me). My family and I wolfed down the scenary like a bunch of basic training grunts at chow. Much older, somewhat wiser and entirely fed to the gills with fatique at the American way of experiencing life on the go, I find myself reflecting on the way in which those beautiful mountains framed the world. I am left with hazy memories of isolated towns and villages nestled in the cradle of alpine peaks. I have only a washed out and color-faded slide show in my mind of wildflowers on lush green slopes. I kick myself because even those foggy memories of what I so easily discounted as a child are still breathtaking. How much more life-affirming would those vistas be now that I’m so hungry for that kind of tranquility and majesty. Your post has contributed to a growing need to go back and see a world I took for granted in my youth. Thanks for the memories and the inspiration. Beautiful view, but I still think you are very brave camping! Fantastic photos all over your site! I clearly need to read the instructions for my camera better to come any where near yours!